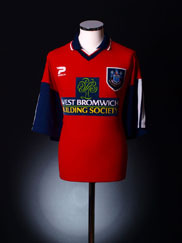 Founded in 1878 as West Bromwich Strollers, the Midlands club appeared to have quite the identity crisis in their early years as a club. 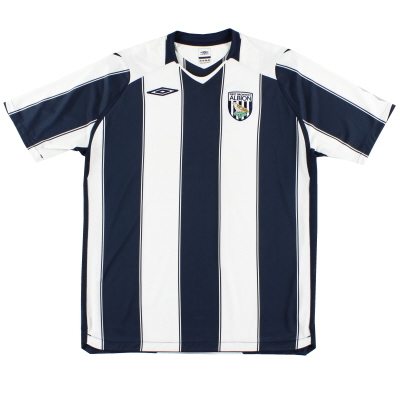 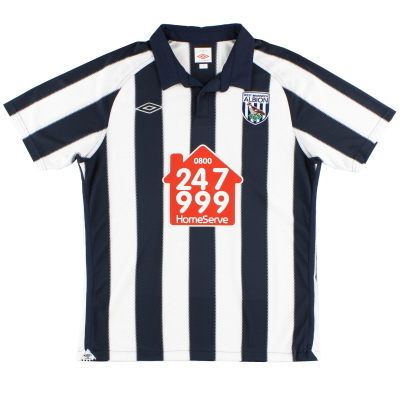 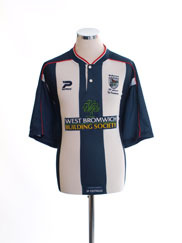 Starting with a white shirt with blue sash across from right to left, they experimented with a number of colours and combinations.Blue and burgundy, red and black, white and yellow, brown and blue, red and white, claret and blue - you name it, West Brom had it! 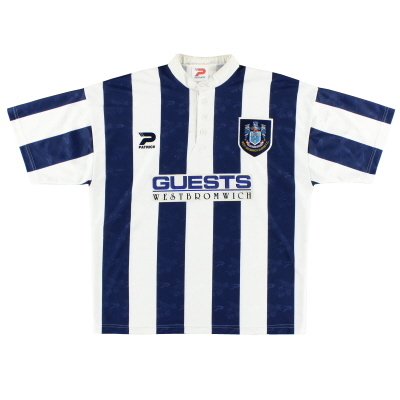 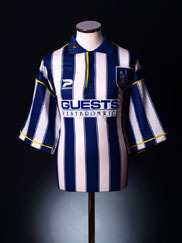 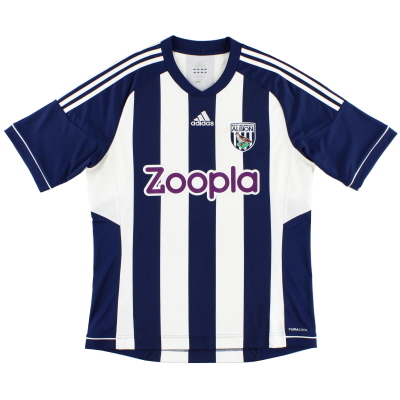 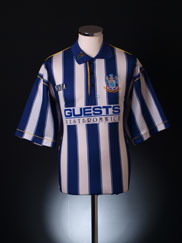 Eventually in 1885 they settled for four years wearing their now famous blue and white stripes. 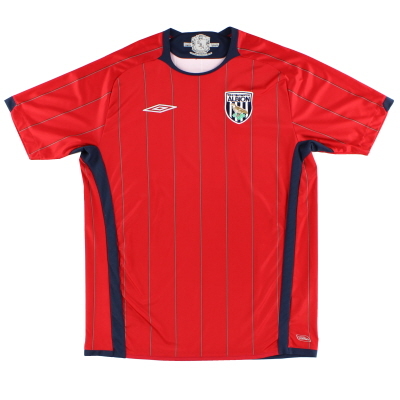 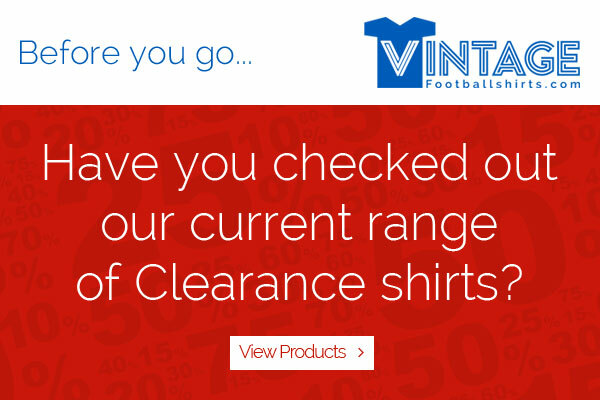 They briefly switched to claret and blue in 1889 but quickly reverted. 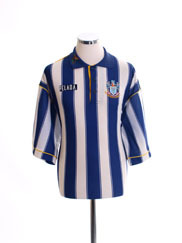 From that year on, they wore today's colours every single year bar a brief period between 1942 and 1947 during and briefly after the Second World War. 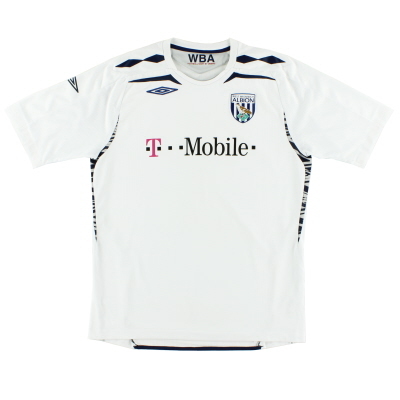 In 1974 Umbro became their first kit supplier and remained at the Hawthorns for fifteen years where in 1989 Scoreline took over. 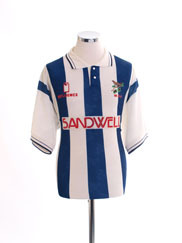 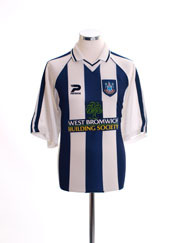 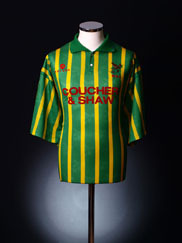 By then the Baggies had a couple of shirt sponsors, the first being BSR in 1981. 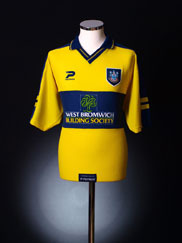 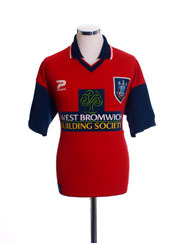 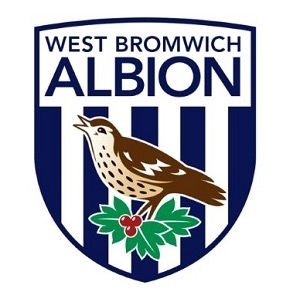 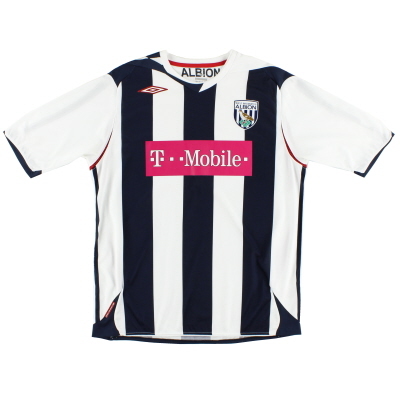 Perhaps the most surprising desgign came from West Brom in 1985, where a 'No Smoking' symbol was the main sponsor on the clubs shirt, which was surprising as smoking was still very much permitted in football stadiums at the time. 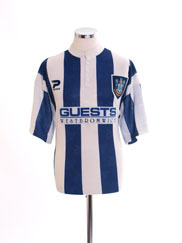 Stranger still, the No Smoking sponsor is what replaced their partenership the season before with cigarette company 'Swan'.